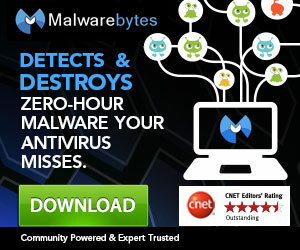 If your computer is locked by Decrypt Protect [MBL Advisory], and you are seeing a message like “You have lost control over your computer” or “You have 48 hours left to enter your payment” then your computer is infected with ransomware. 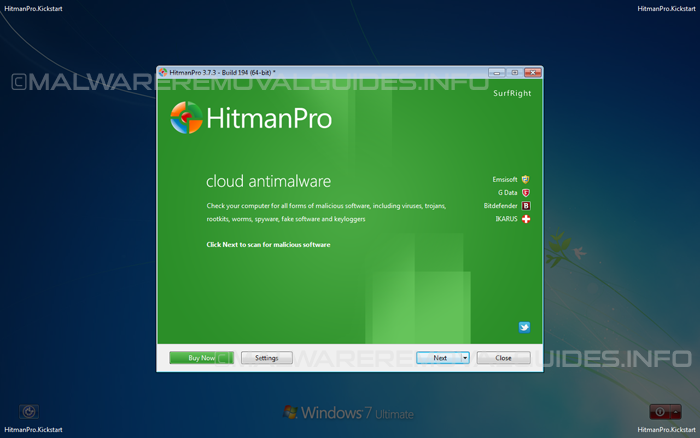 With HitmanPro.Kickstart you can easily remove the ransomware but after removing you will see that all your files are encrypted. The files that are encrypted are mainly, documents, videos, images, with the following extensions (.ddrw ,.pptm ,.dotm ,.xltx ,.text ,.docm ,.djvu ,.potx ,.jpeg ,.pptx ,.sldm ,.xlsm ,.sldx ,.xlsb ,.ppam ,.xlsx ,.ppsm ,.ppsx ,.docx ,.odp ,.eml ,.ods ,.dot ,.php ,.xla ,.pas ,.gif ,.mpg ,.ppt ,.bkf ,.sda ,.mdf ,.ico ,.dwg ,.mbx ,.sfx ,.mdb ,.zip ,.xlt). After the encryption it will rename the files as a HTML file, with inside the original encrypted file. If you try to open any of these encrypted files, you will be redirect to the malcious web page, which is currently at xblblock.com, that will display the same screen of the “Decrypt Protect [MBL Advisory]” and will try to persuade you to pay the ransom in the form of a MoneyPak voucher. The Decrypt Protect virus (ransomware) encrypts all files with a RC6 encryption and a simple XOR obfuscation. 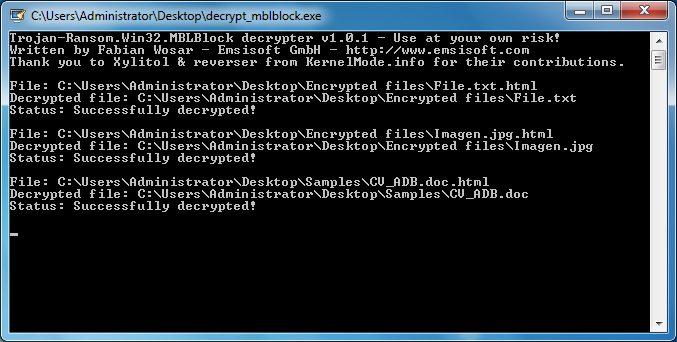 Fabian Wosar (Emsisoft) has developed a decrypter that you can use to decrypt the encrypted files. If you only have a single hard disk with one partition, the only thing you need to start the tool. Now it will automatically scan your complete hard disk for decrypt the files, when there are encryptes files present it will automatically decrypt those without deleting the encrypted originals. After the decryption check all of the decrypted files if they open properly. 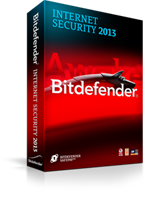 Once you verified the files were decrypted properly you can delete the encrypted HTML files. While holding down the Windows key now press the R key. The “Run Box” will now appear. In the “Run box” Type in “cmd.exe” and press Enter. Please be patient while the tool is running, and you may better not use the computer before the tool is ready. 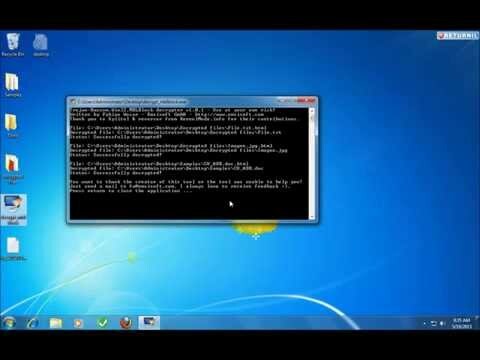 The Decrypt Protect virus will completely lock you out of your computer, so whenever you’ll try to log on into your Windows operating system or Safe Mode with Networking, it will display instead a lock screen asking you to pay a non-existing fine of 300$ in the form of a Ukash, Paysafecard or MoneyPak code. Ignore any alert and don’t pay with Ukash or PaySafeCard, because you will send your money directly to the cybercriminals. 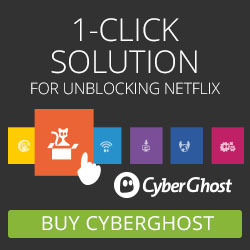 Use the instructions below to remove the Decrypt Protect virus completely from your computer. Once the process is completed you can now remove the USB flash drive from the PC and use it to remove the malware from a ransomed PC. Now insert the HitmanPro.Kickstart USB flash drive into a USB port of the ransomed PC and start the PC. After the removal process with HitmanPro.Kickstart, and using decrypt_mblblock.exe perform a deep scan with Emsisoft Anti-Malware.